"Hey Mr. Tambourine man, who the hell are you?" Maybe they would have recognized him if he had introduced himself as Robert Allen Zimmerman. Folk and rock god Bob Dylan was treated like an mere mortal by Jersey shore cops when a someone called to report a shady looking man wandering around the neighborhood. Dylan was in Long Branch, N.J, on July 23 as part of a tour with Willie Nelson and John Mellencamp that was to play at a baseball stadium in nearby Lakewood. A 24-year-old police officer apparently was unaware of who Dylan is and asked him for identification, said Long Branch business administrator Howard Woolley. "I don't think she was familiar with his entire body of work," Woolley said. The incident began at 5 p.m. when a resident said a man was wandering around a low-income, predominantly minority neighborhood several blocks from the oceanfront looking at houses. The singer of such classics as "Subterranean Homesick Blues" wasn't carrying ID, so police took him back to his hotel, where tour staff vouched for him. 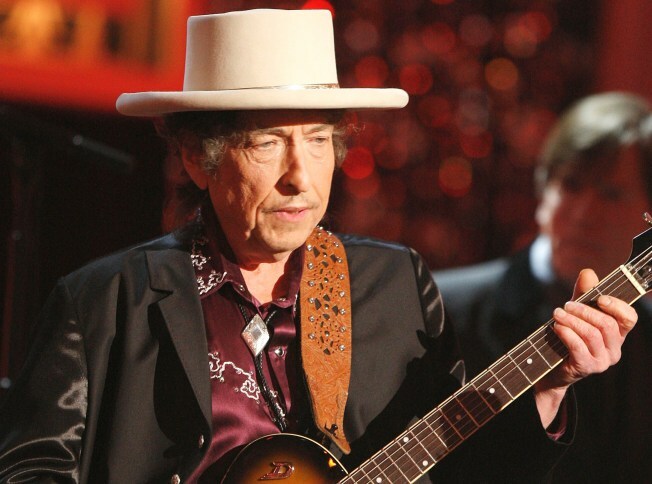 A Dylan publicist didn't return a call seeking comment.